NASA’s Juno spacecraft will reach Jupiter on Monday, the three-second beep marking its arrival is expected around 11:53 p.m. EST. The craft will have traveled nearly 2 billion miles in five years. 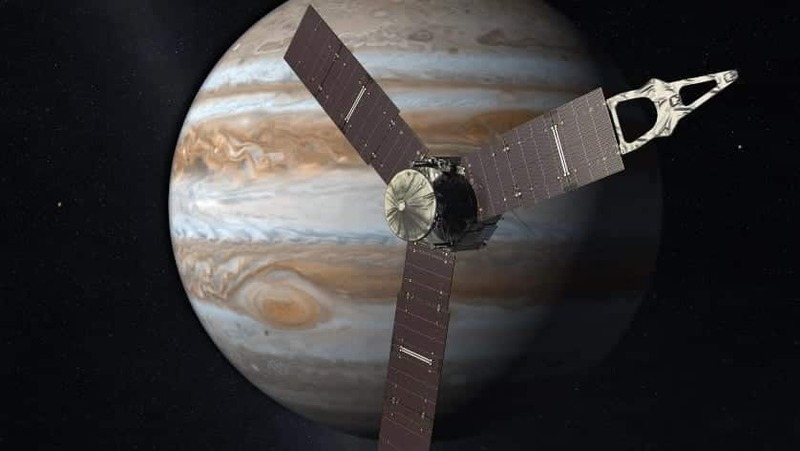 “I can tell you when that completes, you’re going to see a lot of celebration,” said Juno’s project manager, Rick Nybakken, “because that means we’ll be in orbit around Jupiter, and that’ll be really cool.” Diane Brown, Juno’s program executive, said, “We still have questions, and Juno is poised to begin answering them.” Juno will be the first craft to orbit Jupiter since NASA’s robotic explorer Galileo orbited the planet more than a decade ago. Galileo spent eight years orbiting the planet and managed to send back images of the planet and its moons, The New York Times reports. This entry was posted on July 4th 2016 at 11:10am/11:10 and is filed under Live News Column 1, Science, Technology, World News. You can follow any responses to this entry through the RSS 2.0 feed.